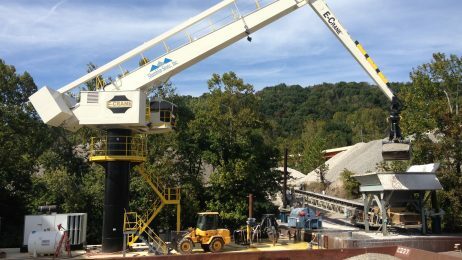 Murray Energy, the largest underground coal mining company in the United States, has recently installed a new E-Crane for handling fly ash at their facility near Moundsville, WV. Murray Energy produces about 65 million tons of coal annually, providing reliable electric power to many customers. 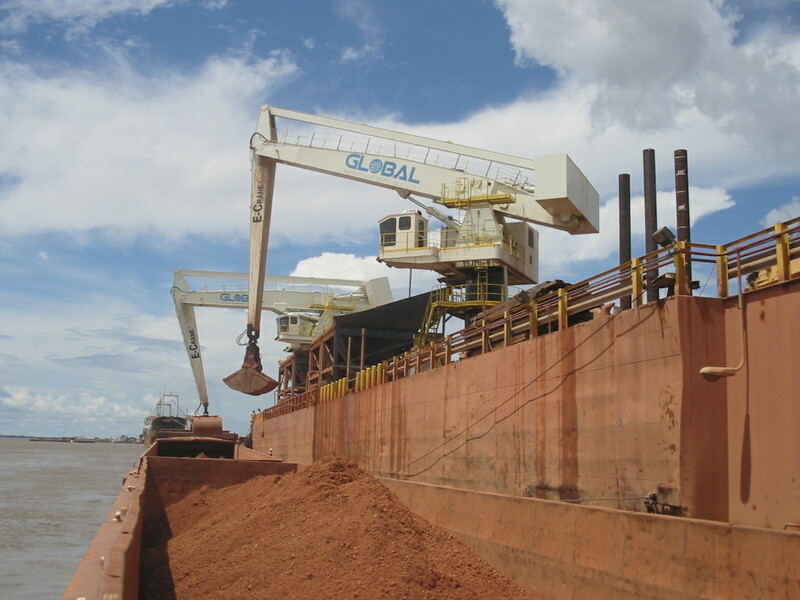 The new E-Crane is barge mounted, and unloads barges of fly ash, a coal combustion byproduct. 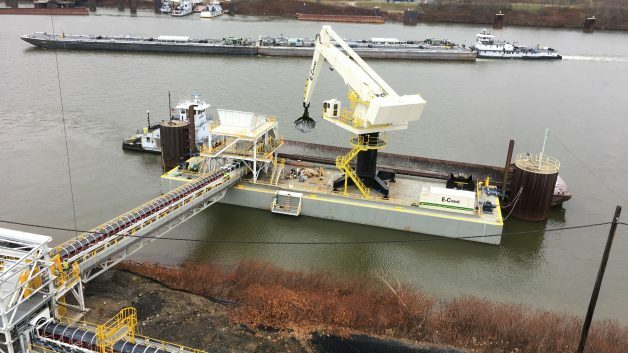 The fly ash is loaded into a specialized hopper, also mounted on the barge alongside the E-Crane. 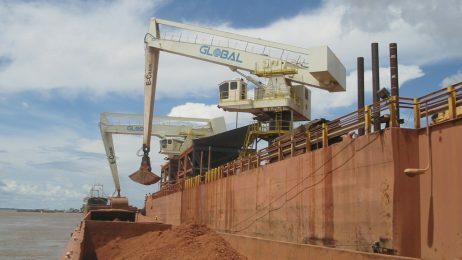 The material is then conveyed to a truck loading station. Murray Energy chose the E-Crane solution for its versatility and ability to handle this difficult material. The material properties vary greatly, but the adjustable push down force of the E-Crane along with custom scrapers built into the grab handle the job no matter if the material is hard and crusty or wet and sticky. Additionally, the balanced design of the E-Crane makes it ideal for barge mounting. 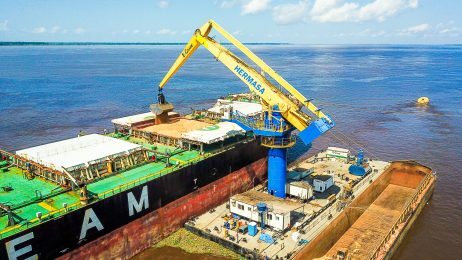 Since the E-Crane is always in a balanced state, there is very minimal listing and movement of the barge during E-Crane operations.